If you haven't already checked out part one of my Winter Survival Guide then you can read that here. Now let's get onto the topic that is my expertise, beauty. Keeping your skin hydrated and moisturised is the complete key to making your it survive through the winter. 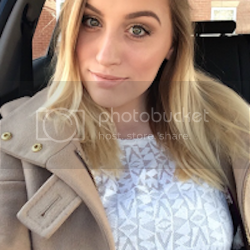 Hydration not only helps your skin protect itself from the weather, it gives you a great finish on your make up and on your body, it helps blood circulation. A few of the best items I've found for hydration is the GlamGlow Hydration Mask which deeply penitrates the skins surface to moisturise the lower cells, the Nivea Express Hydration Primer is great for a morning hydration under the skin and the Garnier Intensive 7 Days Hydrating Lotion which leaves your skin feeling amazing. See the little key word in all of those.. How many times can I say hydrating.. It's important to get your Skincare routine in check during winter and I always swear by starting with the basics, cleanse, tone and moisturise then add a few extra steps where you think you may need it. With your make up, it's time to go a little heavier. To some, this is not problem - to others, they may feel a little scared but its okay, I wont be letting you leave with cake face. I have a few tricks up my sleeve for keeping your make up stay put. To add to the staying power with your blush, then apply a cream blusher first and then get a tiny dusting of a similar colour powder blush on top, that will set it. Keeping that bold lip in tact is easier than you think. First of all, line your lips and fill them in with a lip liner then apply a layer of lipstick. Grab a tissue and blot your lips once followed by a dusting of powder. Then apply another layer of lipstick on top to really set it onto your lips. Yeah, I know some of you are like, I do that anyway? You might do, but its time to change it up a little and apply something a little more moisturising. It doesn't if you have oily skin, you still need moisture! Cleanse, Tone, Exfloliate and Moisturise. Its basic, but it does make a difference to your skin. You want to do this routine at least once a day, I tend to do this at the end of the day to make sure most of my make up and dirt of the day is off my skin, this gives such a better base for your make up. 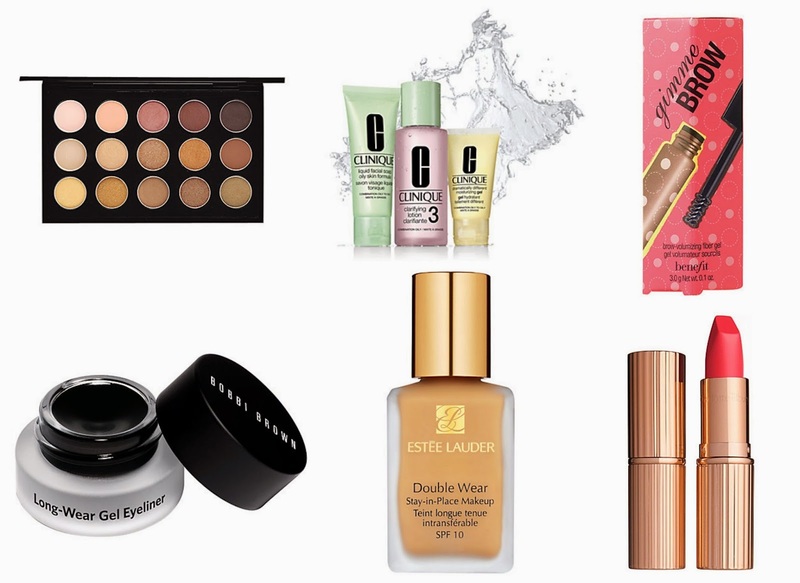 Here are some of my top winter makeup and skin care picks! Lastly, let's not forget about your hair. I'm terrible with my hair, I have to admit but the wind seriously dries out my hair and it also makes it terribly knotty. I already hate brushing my hair, so you can only in again what I'm like after being out in the wind! The best thing I've found is to apply a mask on your chill out no make up day, (because if you're going to look rough, you may as well go the whole hog) and just let that soak in until it's dry and then wash it out. Doing this once a week will really help with the lack of moisture in your hair. 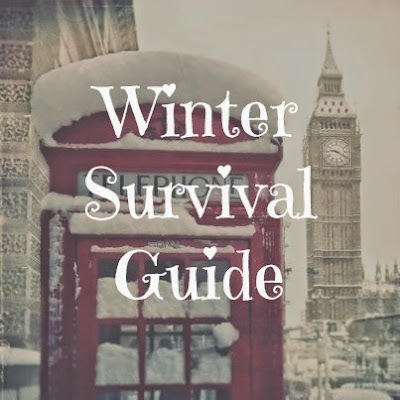 So, I hope my little Winter Survival Guide has helped you guys brave the cold weather! Of course, if you have any tips, feel free to leave them down below! I think I need to update my skincare routine!